Beach camping? With your RV? Yes. Now that we’re past our first long weekend, our camping and rving travels have only just begun for some, many have already been on the road for months. What lies ahead? With summer camping adventures on our minds, many of America’s best campsites require campers to book months in advance. Now many, if not most, do take reservations well in advance of summer travel, but flexibility, adventure and creativity will make your next camping experience one to truly remember, and most likely repeat. Nearby towns, roadways, off-road boondocking, and alternate campsites allow for beach access without the usual crowds nor hefty in-season fees. The U.S. has a bounty of vast landscapes and incredibly versatile scenic beaches offering some of the best camping spots the country has to offer. 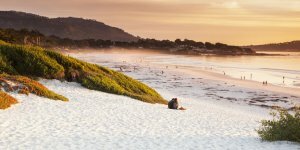 So before feeling like you’ve already missed out, here’s a great list of places where camping nirvana means camping your RV, campervan, popup, or whatever it is you love to camp in, at the beach. And, best of all: it’s not too late. Situated between the Puerto Rico mainland and St. Thomas, Isla Culebra is a surfer’s paradise with a calypso vibe. 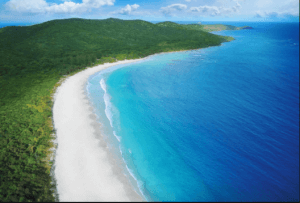 Culebra is undeveloped and has a tropical climate. 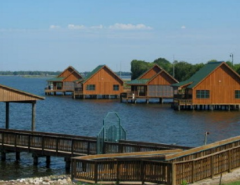 Here, campers can enjoy hiking, kayaking and fishing. The island also has one of the healthiest coral reefs in the Caribbean, making it a great spot for snorkelers and scuba divers. Isla Culebra has a handful of seaside restaurants, some serving up local Puerto Rican fare. The best part is, you don’t need a passport to visit this tiny and picturesque island. Black Sand Beach, located in Prince William Sound, is only reachable by sea-kayaking through scenic, icy waters. 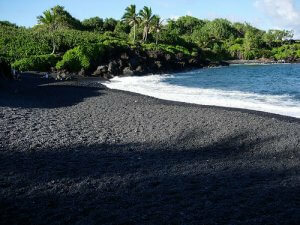 What’s unique about Black Sand Beach is its breathtaking views of tidewater glaciers and mountains. Plus, its geography protects campers from the cold winds, allowing for less-frigid hiking, fishing and paddleboarding expeditions. RV parks and campgrounds at Black Sand Beach include the Valdez Glacier Campground, Eagle’s Rest RV Park and Shotgun Cove. 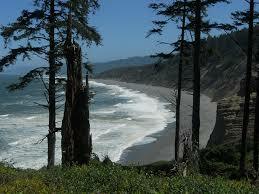 Resting on a bluff in Northern Calif., overlooking the Pacific Ocean, Patrick’s Point is one square mile of lush forest. With 135 camp sites and a steep path that wanders down to the ocean, the state park is accessible to RVs and provides front-country camping. Patrick’s Point also has 640 acres of day-use areas, in which visitors can take bike rides in the park and see breathtaking views of Northern Cali’s pines, hemlocks, and redwoods along the Pacific. Notable about Patrick’s Point is that it is where the Sumeg Indians resided. The park service created a replicate Sumeg Village for visitors to see and experience how the Sumeg used to live; in summer months, there are ceremonial dances and other demonstrations. Where you have just as good a shot as the next RVer at scoring a site any weekend. Plus, in case it’s full, a nearby Plan B. Plan B: Warner Valley Campground, in the south-central part of the park, also gorgeous, is near the Devil’s Kitchen geothermal area. $14; nps.gov/lavo or 530/595-4480. 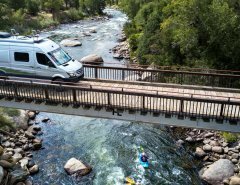 Yosemite Creek Campground: If you’ve been thinking, Gee, maybe it’d be fun to go camping at Yosemite this summer, conventional wisdom would answer: “Nope! Too late!” But there is an exception. Yosemite Creek—a large campground 5 miles up a bumpy winding road, off Tioga Road en route to Tuolumne Meadows—does not take reservations. Your pine-shaded, creekside site will put you within an hour of Yosemite Valley and a half-hour of Tuolumne Meadows. So there you go. $10, $20 park entry; opens early Jul. Mary Smith at Shasta-Trinity National Forest: Veteran San Francisco Chronicle outdoors writer Tom Stienstra calls this 18-site walk-in campground one of the prettiest in the state. We heartily agree: You have a lake (Lewiston), you have mountains (the Trinity Alps), you have camping perfection. You just can’t beat the breathtaking views. $11; 530/623-1203. Plan B: The 5 choice sites at Cooper Gulch, also on Lewiston Lake. $13;campersonline.com or 530/623-1203. 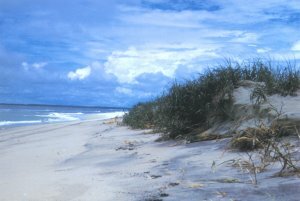 Located at the southernmost tip of North Carolina’s Outer Banks, Ocracoke Island rests twenty-three miles from the American mainland. Accessible only by private boat or plane, or the state-run ferry, this small barrier island is sixteen miles long and half a mile wide with 1,200 permanent residents living on the island. 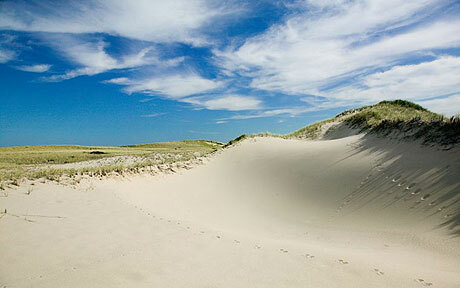 Ocracoke’s beaches are protected by the National Park Service, so the beach is natural and pristine. Ocracoke Village — at just a little over one square mile — is surrounded by water and has quaint restaurants and shops dating back to the 1880s that are tucked away on winding, tree-lined streets. Listed on the National Register of Historic Places, there is also a lighthouse there that’s stood sentry over the island since 1823. The best campgrounds are the Beach Comber Campground and the Ocracoke National Park Service Campground on Cape Hatteras National Seashore, which has one of the best views on the Atlantic. On-season kicks off Easter weekend and ends December 31. 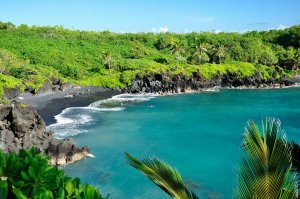 Lest we forget Hawaii: Wai’anapanapa is a minimum three-hour drive from the nearest airport and is located on the secluded, wild volcanic coastline. At this Maui state park, there are top-notch camping facilities where campers can see a black-sand beach, a seabird colony, and small pools that form in limestone and volcanic rock where tiny ecosystems form. Unique to Wai’anapanapa is that visitors can view native Hala-tree forests, a legendary cave, natural stone arches, and an ancient religious temple. Permits and advance reservations may be required for the campsites. Other Hawaiian beaches available, you wonder? All state campsites on Oahu are administered by the Hawaii DLNR, State Parks. They prefer that all reservations are made on their online portal, which is located at: www.hawaiistateparks.org/camping/oahu.cfm (see the button “Online Reservations” in the top left corner on their website). You can make your reservation no more than 30 days in advance (unlike for campsites on the other Hawaiian islands where you can reserve up to one year in advance). There are other special rules that apply for Oahu only. Camping in state parks is not available on Wednesday and Thursday nights, and Sand Island State Park is only open to camping on weekends (Friday through Sunday nights). 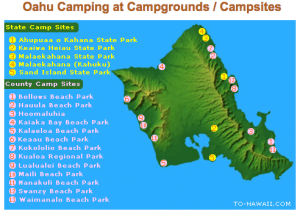 If you plan to camp on Oahu, no matter if at a state or county site, you will need to obtain a camping permit in advance. “Islamorada” translates to mean “village of islands,” and it’s exactly that. Seated between the Everglades National Park and the deep blue waters of the Florida Strait, Islamorada is made up of six small keys. Renowned for its “glamping,” the island’s Point of View Key Largo RV Resort features an infinity-edge pool overlooking 1000 feet of shoreline, 110 full hook-up sites, a 20-slip marina, a boardwalk, and three docks. 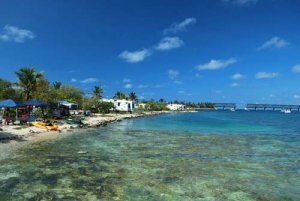 Islamorada is also known as one of the world’s best sport fishing destinations (saltwater fly fishing and backcountry sport fishing were pioneered on Islamorada). 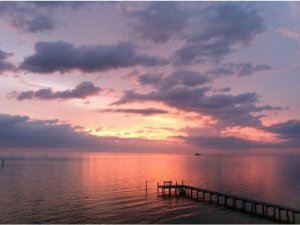 While on Islamorada, one can also visit the History of Diving Museum, see the Theater of the Sea, and visit the BJ Royster Ocean Gallery to see and purchase local art. At Islamorada, reservations are a must, especially during the popular winter season that runs from November until Easter. 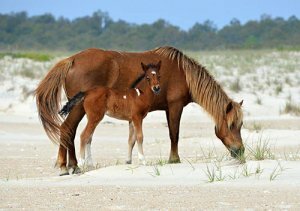 With 37 miles of beach, Assateague Island is known for being majestic with its bald eagle sightings and wild ponies that roam the long stretches of beach. The Maryland side of the island has over 300 campsites (note: camping on the Virginia side is not allowed). Back-country camping is also available for campers who wish to backpack or paddle the island. The park is open year-round, 24 hours a day. Assateague offers many outdoor recreational activities, such as sightseeing cruises, kayak tours, crabbing, bird washing, fishing, hunting and biking. Assateague also houses the new Assateague Nature Center which gives visitors the best access to the park’s resources. 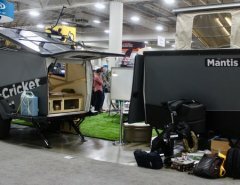 Now go ahead and plan your summer beach camping without already feeling like you missed the boat (or RV/tent in this case! ).